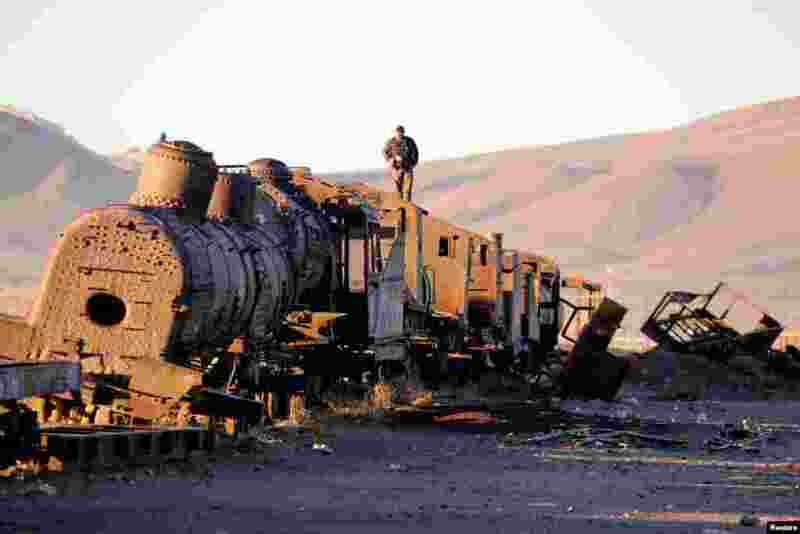 ٢ A man stands on an old train of Bolivian Railways Company from 1870-1900 at the train cemetery in Uyuni, Potosi. 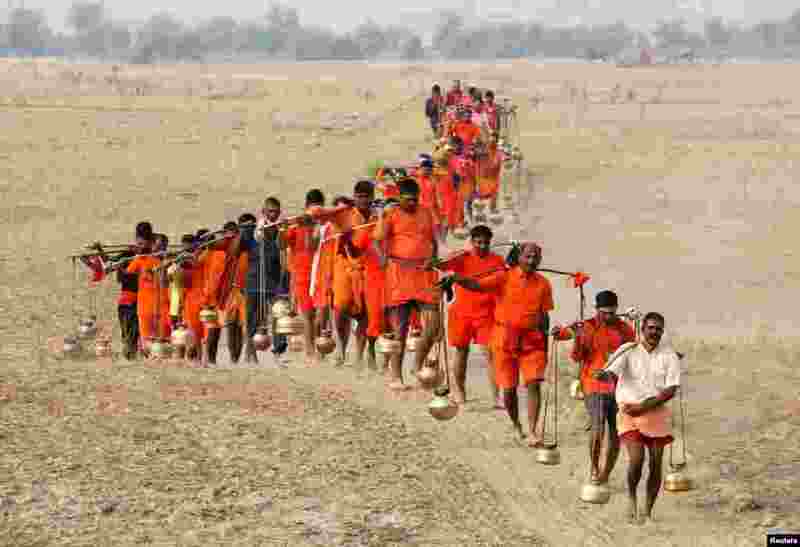 ٣ Kanwariyas, or devotees, carry metal pots filled with holy water after taking a dip in the waters of the Ganges River, to offer it to Lord Shiva for the betterment of their families and society, in Allahabad, India. 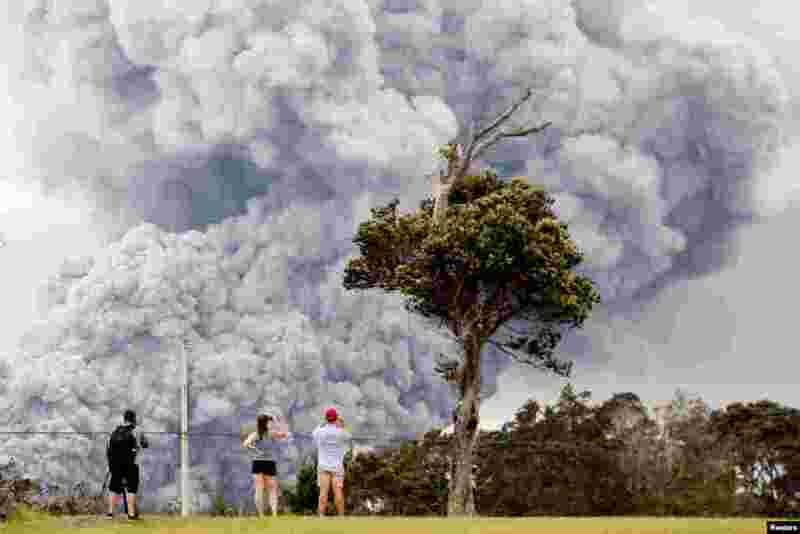 ٤ People watch as ash erupts from the Halemaumau crater near the community of Volcano during ongoing eruptions of the Kilauea Volcano in Hawaii, May 15, 2018. 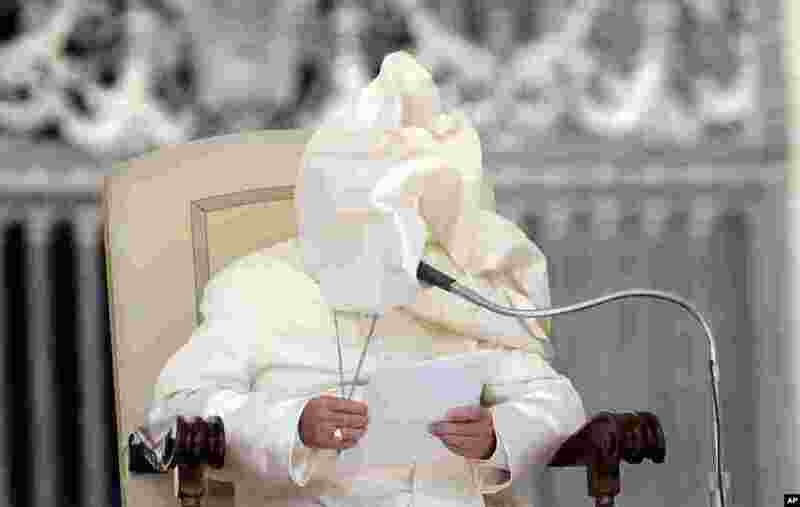 ٥ A gust of wind blows Pope Francis' mantle as he reads his message during his weekly general audience in St. Peter's Square at the Vatican.